GARDENA — Michelle Yamashiro of Torrance has been named program assistant for the Gardena Valley Japanese Cultural Institute (GVJCI) effective Sept. 2. She fills a new position created by the GVJCI to meet the demands of its growing array of cultural, educational and entertainment programming and represents the third permanent hire for the GVJCI in the past six years. Yamashiro will focus on a multitude of program areas and begin with supporting ongoing programs like the GVJCI’s “Second Sunday Jam” (SSJAM), a music, poetry and performing arts program. She will also expand the GVJCI’s focus on youth and young adult programming and support existing programs like the Tanoshii Fun Camp, which is co-sponsored with the South Bay Japanese American Citizens League (JACL). Along these lines, one of her first projects was the “Pathways to Professions” workshop on Sept 27. This program, targeting high school and college-aged young adults, featured a series of panels of young professionals in emerging fields. 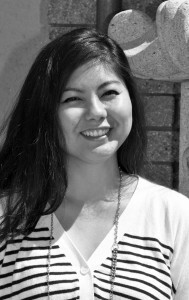 A native of Torrance, Yamashiro is a recent graduate from USC with a master’s in education. She has a bachelor’s degree from UC Irvine and attended the California Academy in Math and Science (CAMS). She has been active with the JACL and is a recent appointment to the JACL National Board of directors in addition to her ongoing board service with the Pacific Southwest District. The GVJCI has its roots as far back as 1912 and the Moneta Gakuen. It seeks to provide relevant educational and cultural programs for all ages, including a Japanese language school, and serves as a host for a number of recreational, cultural and civic organizations.